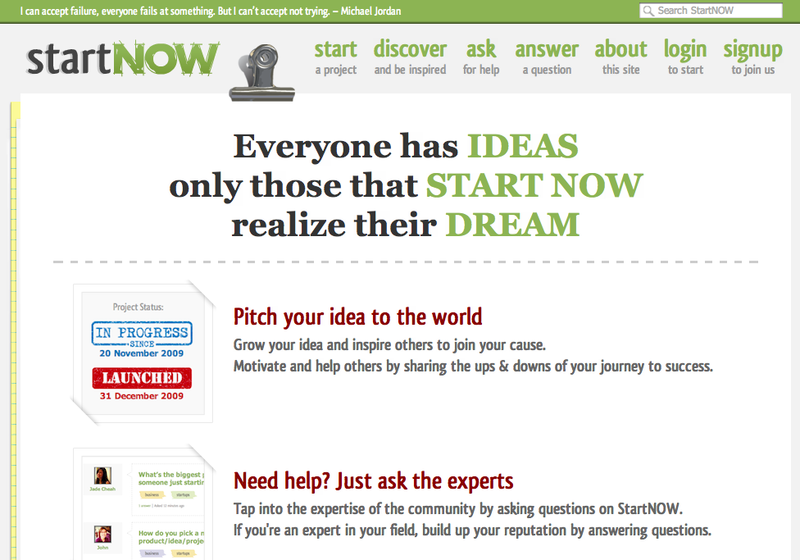 2 days ago, we launched StartNOW. We are hoping that the site will inspire more people to take action and work toward their dreams. On the site you'll be able to create project for ideas that you want to work on and also ask/answer questions from the community. It's still a work in progress so be gentle on it. We'll be adding more features to the site to improve its usability and usefulness. If you got something you always wanted to do, well this is it, go and StartNOW!.